So much has been happening, I haven’t had much time to put a post together! I just spent a few days up in Seattle with my daughter who took her state board exams to be a licensed cosmetologist. She is moving home in a few weeks too. Plus my husbands hip surgery is November 15th, so we are trying to get as much work done as possible before he is laid up for a while. It’s a little wonky… I didn’t use a pattern, just sort of wung-it. 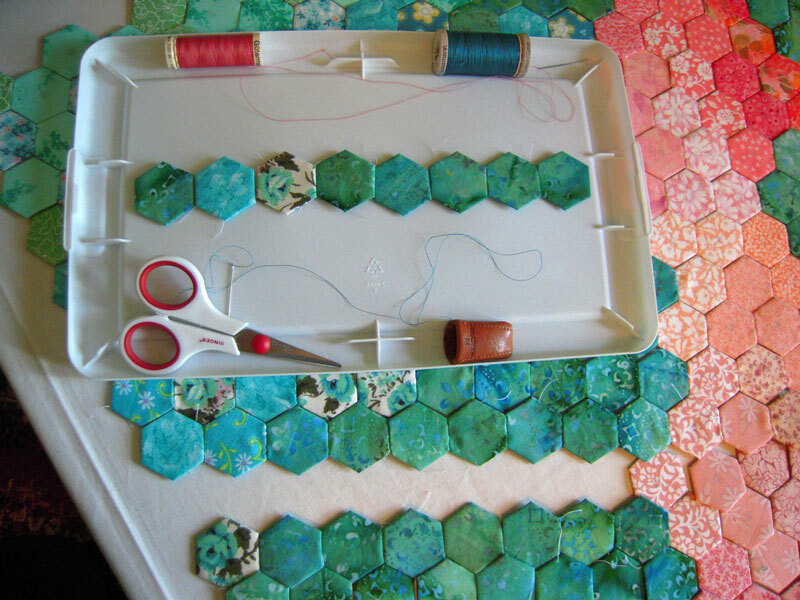 Of course I HAD to use hexagons ~ I swear, I’m totally addicted to those little things! The top is quilted with wool batting under the top circle, and there is a pillow of flax seeds and lavender on the inside in the bottom to weigh it down. The rest is stuffed with poly fiberfill. 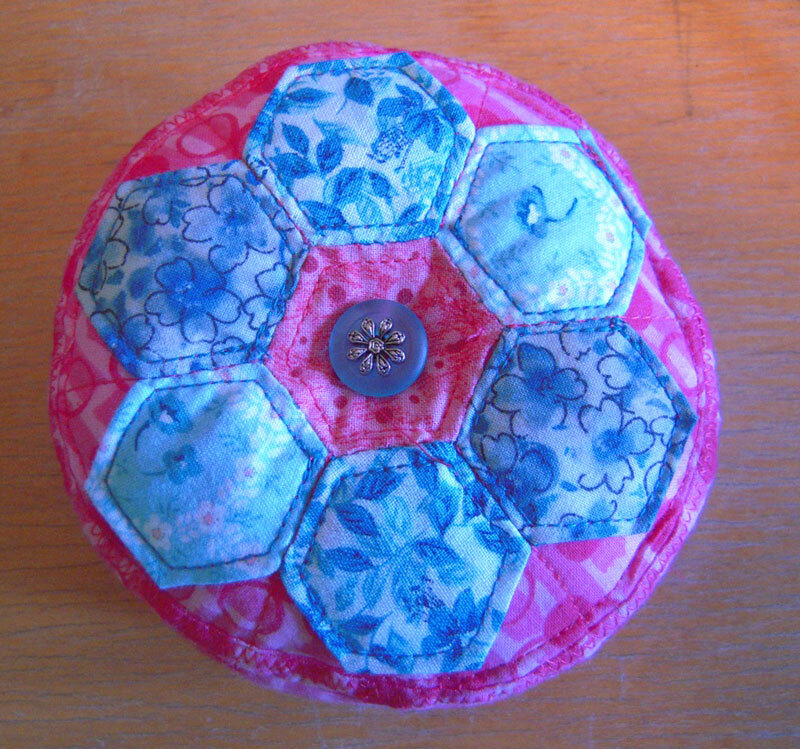 I found a really cute old button to use for the top too. If I have time, I will try a second one and make it a little more clean looking for the swap… we’ll see how that goes! At this point, I’m itchy to do some smaller projects… but I’m afraid if I do that, I will lose steam on this project ~ and I love it so much ~ I just have to follow through! I wish I had WAY more sewing time. Oh well, at least I’ll have something to keep me busy over the slow winter months. Cute little cushion! 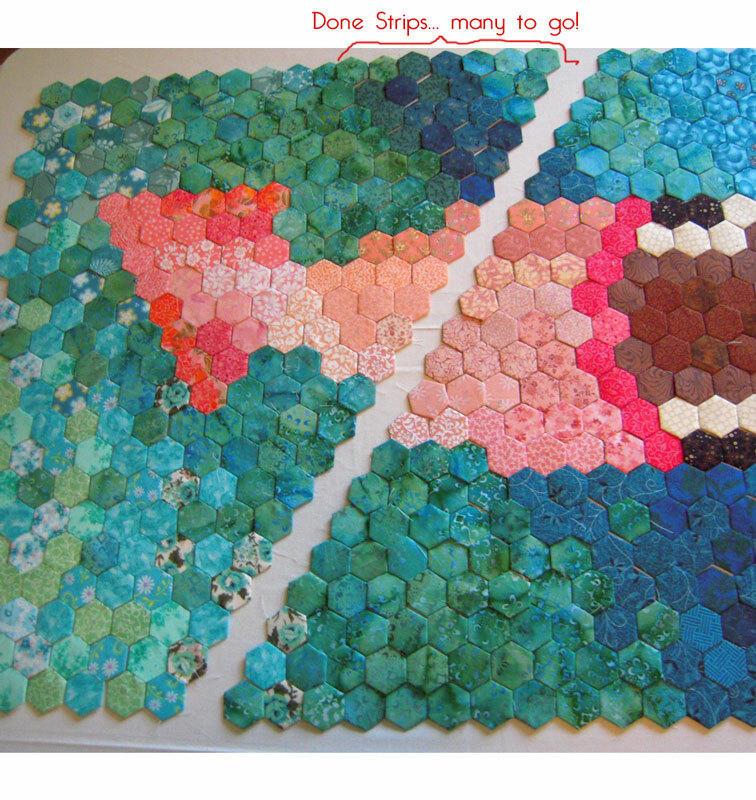 And the big hexi project is coming along so nicely! 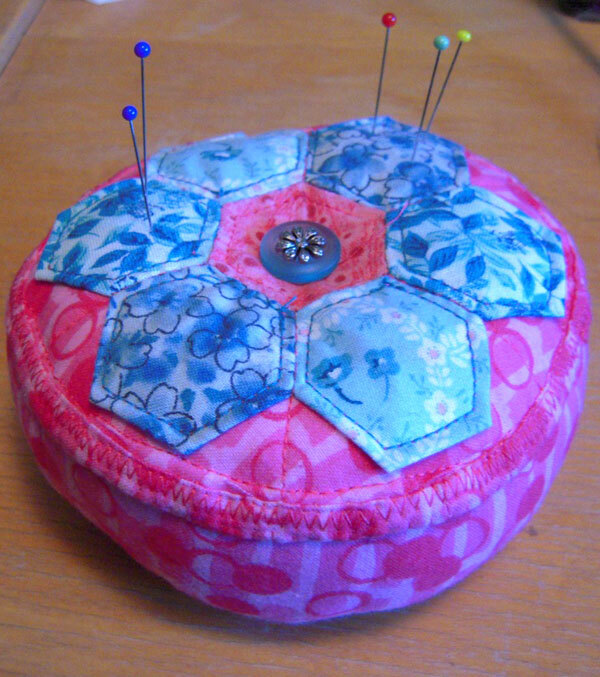 Next PostNext … and another Pin Cushion!